We all know street food has its own unique flavours. The Mumbai Vada Pav, the street kebabs in Delhi, Golgappa in Kolkatta, even the Indian kebabs in the streets of New York, the Tacos in Mexico, Currywurst in Germany.....I could go on and on. They have flavour that can rarely be mimicked under any other setting. Rarely do sit-in-restaurants get these flavours right and there are many imitators and bad versions of the same even in other street joints. Somehow, South India doesn't seem to have a street food scene. Or maybe I haven't encountered them anywhere yet and maybe they exist in some form that I am yet to unearth. Street foods in South India seem to be toned down versions or spicy versions of regular home foods. Or restaurant food. Think about it. 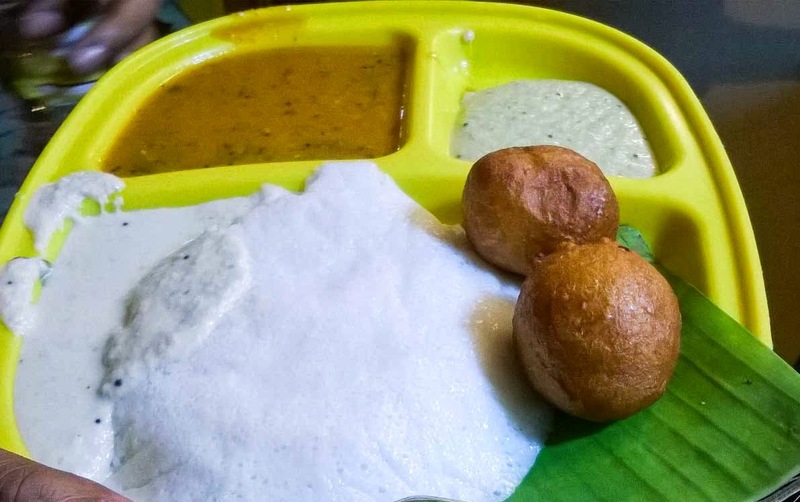 Is there anything in Chennai that is Chennai street food? 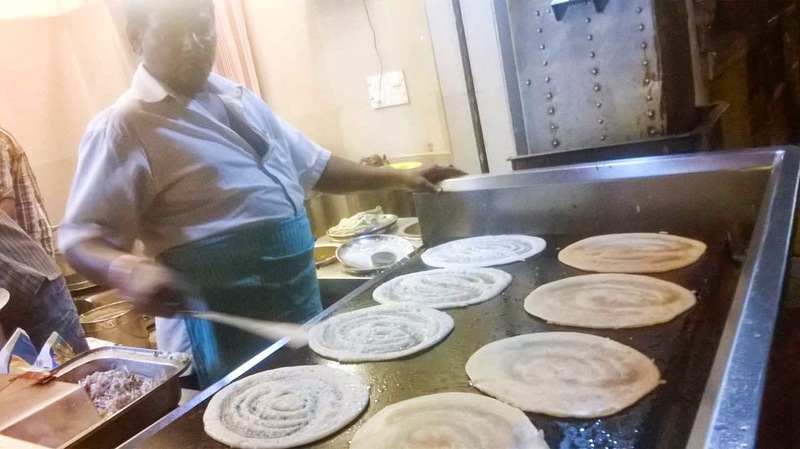 On the street, we get idly, dosa, paratha and gravies, north Indian imports like vada pav and pani puri, but are they really street food?Maybe the Besant Nagar beach appalam and the fried fish there are the only ones that come to my mind. Maybe the sandwich store outside alsa mall that serves sandwiches that can almost rival the Mumbai sandwiches, can be counted, but they are not unique to Chennai. I think the same problems exists in most of South India. That is probably why when a particular dish street joint serves something so good, it is an eye catcher. This Om Sai Skanda place, located near the Sai Baba temple in Ulsoor, Bangalore served me mind blowing dosas. Two of us had a plain dosa, a masala dosa, three pieces of Thatu idly, two bondas and a vada. While the others were nice, the dosas definitely need a special mention. And I was not the only one, this place had a few 4.5 stars on Zomato!!!! The thatu idly was large and nice, but this dosa. Well, it was thick, but crisp. Savoury, yet had a slight hint of sweet aftertaste. It had the perfect pancake look. Brown on one side. Uniformly brown with almost no patches. White on the other side. With a slight appam flavour, along with the very good set of chutneys and sambar, I walloped all this, knowing fully well that I had a dinner appointment! That the whole meal costed Rs. 130, didn't help matters to remind me of the dinner appointment. I now found a similar place in Chennai and I will report back with a report soon!!!! But if you're in Bangalore, this place is worth a shot. If you like his dosas, you will love them, if you don't, then you won't lose much!! !